Are you a social media fanatic? Do you like to read? 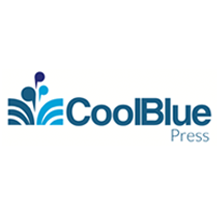 Look no further than Cool Blue Press, the upcoming publishing company primarily focused on social media marketing books launching this week at SXSW. Where better to launch a social media book publishing house than at the “primary” social media conference? This coming year, founder Bob Fine will be releasing around half a dozen books focusing on different vertical areas within social media. Coming in Summer 2011, the first book entitled Social Media and Law Enforcement will be co-edited by Fine and a social media law enforcement expert. All net proceeds from this book will be donated to Police and Fire Charities. There’s nothing better than a startup that focuses on benefiting the community via education and philanthropy! In addition to announcing the launch of the independent publishing company, Cool Blue Press has also announced their participation in LaunchRock’s SXSW: The Battle of the Startups with $5K up for Grabs. LaunchRock will be giving the “top LaunchRocking startup (the one with the most signups from March 11-15) at SXSW Interactive $1 for every user they sign up to $5,000 dollars.” LaunchRock has also teamed up with top social media tool providers Posterous, HootSuite, RapLeaf and CloudSponge to supply the competing startups with what they need to get off the ground. Sign up for Cool Blue Press at coolbluepress.com and be sure to stop by the Cool Blue Company booth this week during the trade show – Stand 241. Bob Fine is the editor of The Big Book of Social Media Case Studies and founder of Cool Blue Company, LLC, the independent consulting and contracting parent company of Cool Blue Press. Fine’s goal is to “build Cool Blue Press into a independent publishing company, primarily focused in the beginning on books focused on social media, then branching into other technology areas (particularly how non-profits can leverage technology).” Cool Blue Press is a bootstrapped organization run entirely out of Fine’s Washington, DC apartment. You can connect with Fine on Twitter @BobFine and on Facebook. LaunchRock helps startups setup a viral ‘launching soon’ page in minutes. Once you sign up, you can create your startup’s own sign-up page in seconds. Then you share your sign up page with friends and create the viral loop which fills your startup with prospective users. LaunchRock launched this year at the first Philly Startup Weekend.